The word “cisgender” to denote someone whose gender identity matches the gender they were assigned at birth, has been added to the Oxford English Dictionary. The word is one of 500 new entries into the dictionary, alongside the word “twerk”, a dance move synonymous with singer Miley Cyrus. According to the Oxford English Dictionary, “cisgender”, is a word : “Designating a person whose sense of personal identity matches their gender at birth”. 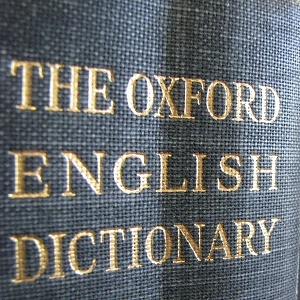 A word has to have been in popular use for ten consecutive years in order to qualify for the Oxford English Dictionary. It is understood an entry from Hansard, where former Liberal Democrat MP Julian Huppert used the term in Parliament during a discussion of trans issues, was submitted as evidence to the OED. Other words such as “meh”, “Twitterati”, “hot mess” and “Fo’ shizzle” were also added to the dictionary. The definition of “twerk” means to dance “in a sexually provocative manner, using thrusting movements of the bottom and hips while in a low, squatting stance”. It was dated back to 1820, when it was spelt “twirk”, and some have speculated that it may have been mixed with the word “jerk” to form the modern day version.